The ECOSYS P3060dn, a proven monochrome printer for the growing business that demands exceptional performance, reliability and versatility. Do you want a faster output speed, data security and increased efficiency with scalable paper capacity options? The ECOSYS P3060dn delivers! 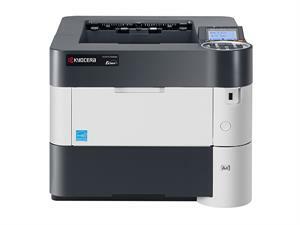 With print speeds up to 62ppm, up to Fine 1200 dpi, standard duplex, On-The-Go mobile printing capability, walk-up USB accessibility and secure printing, you’re now equipped to maximize your business potential. The ECOSYS P3060dn packs the features needed to drive your business into the future.